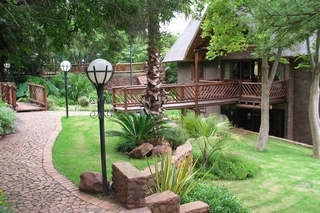 Your Highveld Conference Centre with Bushveld surroundings, less than two hours drive from Johannesburg, Pretoria or Nelspruit. Situated on the banks of the Great Olifants River, this eco Lodge boasts 9 different conference venues seating from 8 to 600 guests. Accommodation varies between 16 rondawels and 43 self catering units, sleeping up to 250 delegates. Being 24 kilometers away from the nearest town, in the heart of nature, we offer an adventure team building course, peddle boats, hiking, bird watching, horse riding, Bar, indoor heated pool and swimming pools. With our qualified staff, open dining facilities, lapa, and marquee tent - we can offer a venue suitable for most functions, from team building, christmas parties and country weddings. Self Catering options, also available at Olifants River Lodge.